i know i haven't been posting too much recently. mostly it is because i've managed to stop myself buying things in order to save for Oz Comic Con next week! squeeee!!! i don't know if people know or not but i love to cosplay! and this year is hopefully going to be a cosplay full year for me! 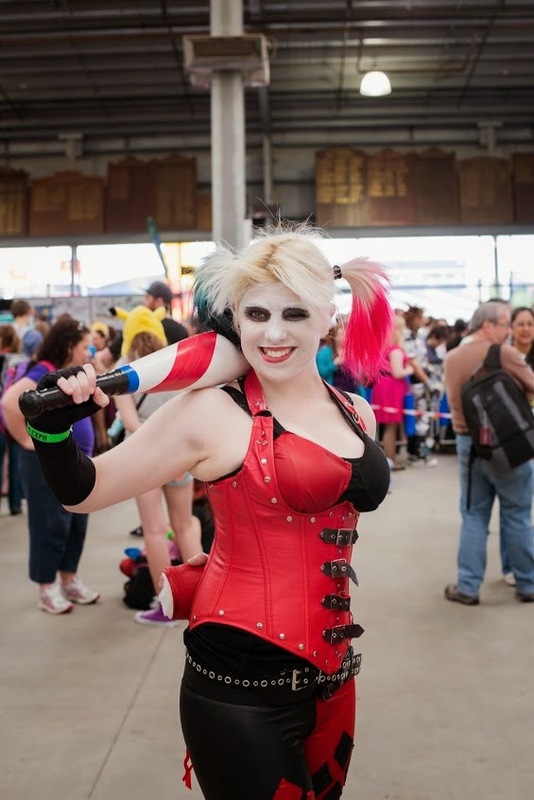 My friends and I will be attending OzCC on the Sunday (6th of July) and for this day I will be wearing my Harley Quinn cosplay from Batman: Arkham City video game! I wore this cosplay last year at Armageddon but I had a cheerleading injury and so my broken hand was in a cast so i didn't get to do all the cartwheels and things i hoped i would.... so i'm excited to wear it again! here is a picture from 2013 ! It needs a bit of reworking but i was really having a great time! I made the leggings and the singlet myself! i was so proud! and i was really happy that people liked it! I need to re do the paint on my bat or i'm hoping to get a gun this time around... so.... the cosplay will be improved. 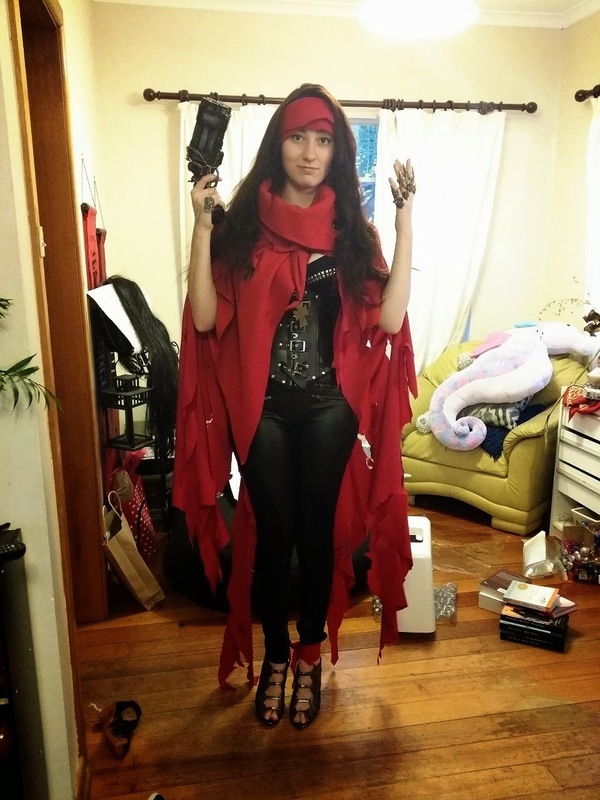 my friend Kiz is also going to be debuting her female Vincent Valentine cosplay that she's been working on for quite some time! Also in the planning for this years cons is a disney villain cosplay duo with my friend Kiz. ♥‿♥ dream come true seriously. we're hoping that we will end up with a little group at some stage because, well... the more the merrier and possibly more recognizable! - always important! Here is a general break down of the plans for the costume! 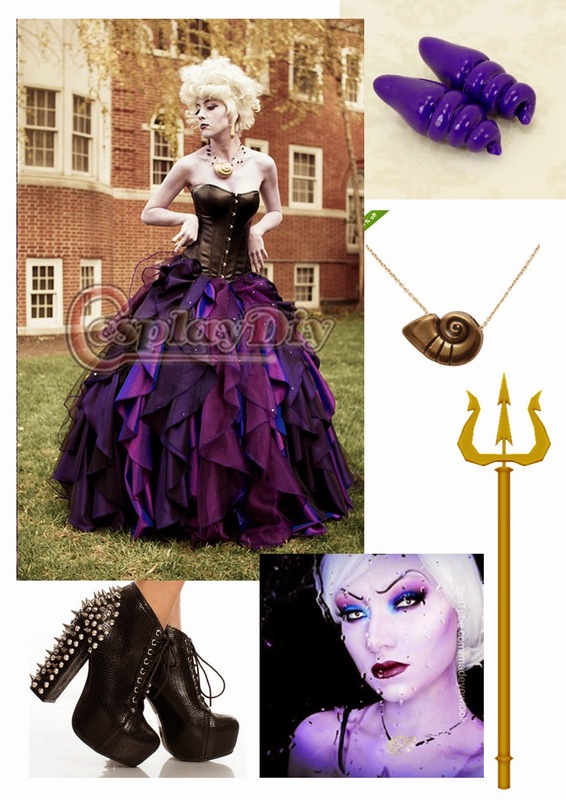 I will be ordering the dress, i have some basic sewing skills but nothing anywhere near what would be needed to create the desired outfit... i am hoping that i can find some better earrings and necklace for the costume because with the necklace especially it is rather important for identifying the character. So far, those are the plans for the year! in case of problems i have my back up Fionna cosplay from Adventure Time which i wore to supanova this year. if you're going to Oz Comic Con on the sunday and you see me or us come over and we'll get a photo together :3 i love meeting new people! Has your hand tottaly healed?Hope you feel better and dont have any pain.